Belarus is ready to render a site for talks to resolve the situation in eastern Ukraine and hopes that all agreements will be implemented. Belarusian Foreign Minister Vladimir Makei told this in an exclusive interview with own Ukrinform correspondent in Germany. “We are interested in our southern neighbor to have peace, quite, stability and we are ready to apply maximum efforts to favor this,” Makei said and added that the Belarusian leaders always said about the readiness to make everything possible for peace and stability be achieved in Ukraine. 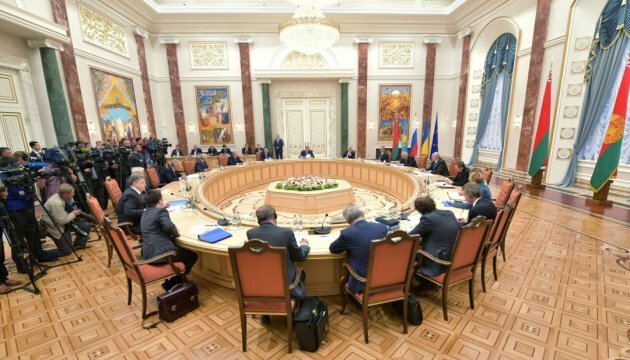 When asked about possible Minsk 3, the Belarusian Foreign Minister said that he hopes for the full implementation of Minsk 2 by all the sides and “stop of this bad situation that is taking place in Ukraine”. “However, if agreement is not achieved and if Minsk 3 takes place, then I wish this number was the last,” he added.